Lounging Around The World – Stanza dei Sigari – Boston, Mass. For all of us brothers and sisters of the leaf, vacation brings an extra opportunity that some people don’t normally consider and that is with travel, comes the chance to experience new cigar lounges around the world. 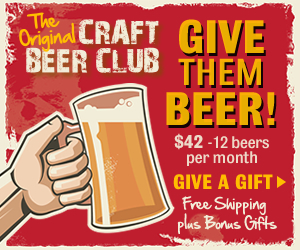 It may be just the shop down the street or could be a special spot that we have sought out. For Stanza dei Sigari, this was definitely a shop that once I heard about it and I knew I would be in the area, I had to go check it out. I had the pleasure of traveling to Romania this past summer and after doing lots of research on flights, the best flight deal had me landing in Boston at about 6:30pm and there were no flights back to Dallas that same night. So originally, my good buddy and I were planning on hitting the town and then him dropping me back off at the airport once the bars shut down since I had a 6am flight. However. after being sleep deprived for the past week and also not being able to take a hot shower the previous 4 days due to the hot water heater going out in the Air BnB we were staying at, I decided I was grabbing a hotel to get some rest and this would allow him to start his drive home to upstate NY. After checking into the hotel and taking a ridiculously long, hot shower, I figured I would be spent and just pass out. However, that shower definitely woke me up and I decided to hit the town. So on my way I went to the North End of Boston to grab a cigar and drink from one of Boston’s top cigar lounges. Stanza dei Sigari was once a speakeasy in the 1920’s and as you enter through the main door and down into cellar below La Vittoria on Hanover Street in the historic North End, you are instantly transported back to the 20’s. The setting still has its original “underground” vibe with low ceilings and a dark decor which just adds to the whole experience. As I made my way to the cigar selection, you find yourself in front of numerous cigar cabinets with a very nice variety of cigars including such brands as Cohiba, Davidoff, Acid, La Gloria Cubana, Montecristo, Padron, Rocky Patel, and many more. Right next to the cabinets is a spot where you can order your drink and sit at the bar top or you can order your drink and cigar. There is a great selection of cognacs, ports, bourbons, single malt scotches, rums, martinis, and more available to quince any thirst. Once you have made your decision on the cigar you want, and where you want to sit, the host/bartenders will grab that cigar for you, cut it, and bring it right on over to you. The lovely young lady that helped me was very sweet, knowledgeable, and not pushy at all. Since I was just finishing up my trip, I decided to spoil myself with a Davidoff Aniversario No. 3. Retail, you can normally find these beauties for about $22 to $25. I bought mine here for about $33. A little pricey but can’t say I was shocked by this at all. So as I sat down, placed my drink order, and lit up, I took a moment to just sit back and relax. There were numerous tv’s going showing different soccer matches as well as the Red Sox game. As a born and bred Yankees fan, I kept my “boo’s” to a minimum and just enjoyed a good time. The bartender brought my two fingers of Eagle Rare on the rocks and also a Coke (no, not together! ), checked on me, and would just peak on me as she walked by, only stopping when my drink was getting empty. This is the kinda service I LOVE! Not in your face but also not forgetting about you. 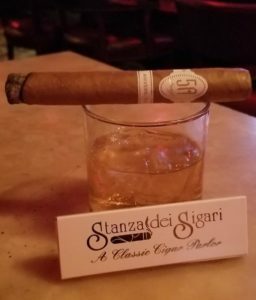 Halfway through my cigar, I remember just sitting back in the comfy chair I was in, listening to the larger groups around me having a good time, and ever so softly, hearing Frank Sinatra singing “New York, New York” on the house system, and just living in that moment. I had a great cigar, some great drinks, a great atmosphere, and ultimately a great night. 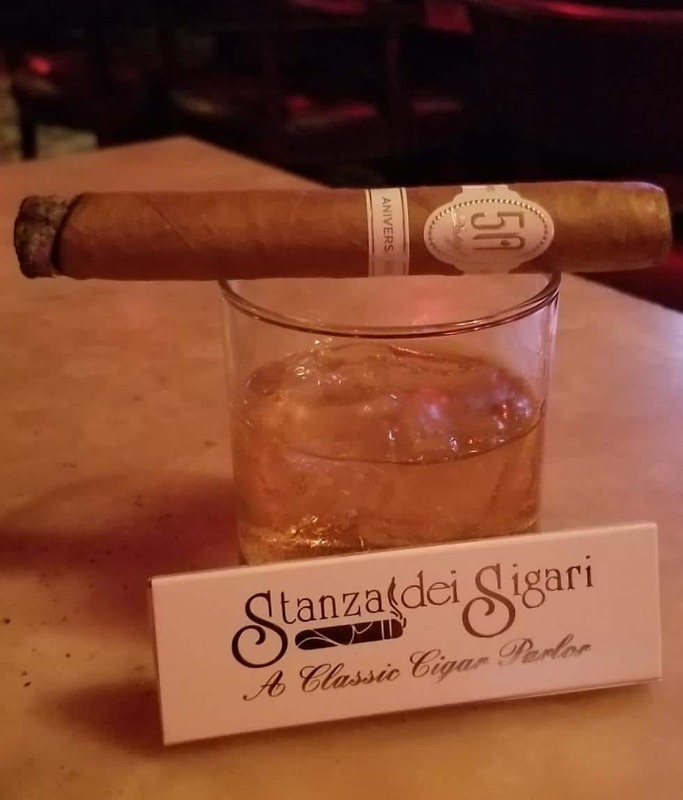 So while I am by nature, against everything Boston due to being a Northern Jersey boy born and breed (yes, we all have our flaws), Stanza dei Sigari is a cigar lounge I would visit every single time I was in the Boston area. 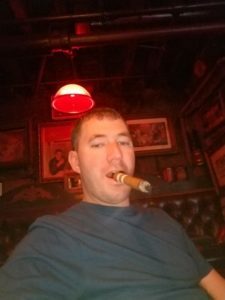 The patrons, the staff, and even the Uber driver that night, were all fantastic, adding to a great trip to a great cigar lounge. 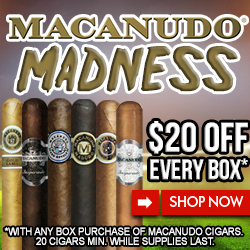 Great Cigar deal for my DFW readers!